The annual release of hitherto secret cabinet papers now takes us back to the last great Oz outbreak of Francophobia—rage and fear about the French in the South Pacific. The 1994 and 1995 cabinet records  show the Keating Labor government grappling with France resuming underground nuclear explosions in the South Pacific. In 1995, France ended a three-year testing moratorium. The previous 150 tests apparently weren’t enough. Having done a final round, Paris promised, it’d then commit to the Comprehensive Nuclear Test Ban Treaty. Dreadful French process led to a positive outcome—allowing France to become, eventually, a positive rather than a negative in South Pacific regionalism. The cabinet submission grappled with balancing the desirable CTBT end against dire boom-boom process, calling for Australia’s response to be ‘credible but proportionate’. The tests, DFAT intoned, should not dominate the bilateral relationship. Walking that line, Foreign Minister Gareth Evans was blown up by a wonderful question from John Shovelan, an ABC journo. The Shov missile was this: ‘Are you saying that the French decision to go ahead, then, is not as bad as it could have been?’ The missile exploded when Evans began his reply with ‘Exactly’. As Evans recalled in his memoirs , that act of ‘utterly unwise objectivity’ unleashed a public/political storm about complacency and compliance. ‘All hell broke loose’, Gareth wrote. Nuanced diplomacy is tough—especially when people are exploding nukes. The archived history is a chance to point to ASPI’s new report on Oz–French relations , and to share two tales of Oz politicians grappling with the French. The Australian fear of what France was up to in the South Pacific in the 19th century was matched by the Francophobia frenzy over French atmospheric nuclear tests in the South Pacific from 1966 to 1974 (after which France started going boom underground). The wrangle prompted an informal Oz boycott of all things French—no wine, no mustard. Australia’s postal union interrupted mail to and from France and its Pacific territories. This postal foreign policy was dismissed as ‘maverick action’ by Prime Minister Gough Whitlam. 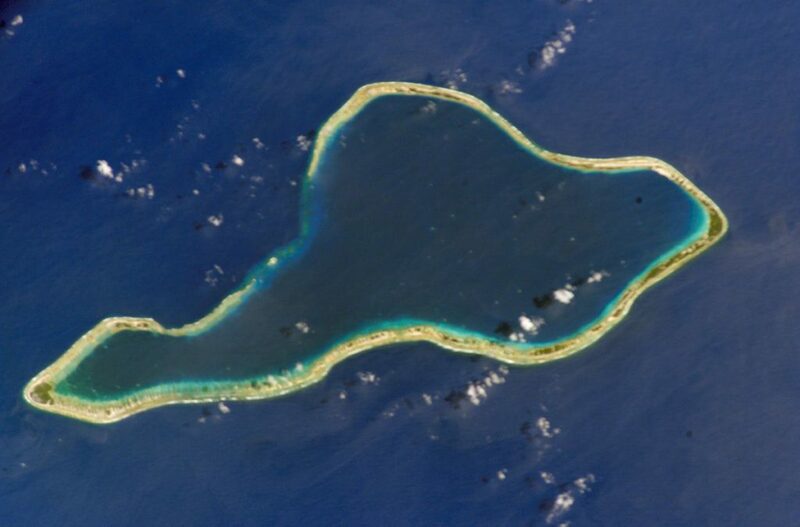 Gough’s best barb was that if the tests at Mururoa were so safe, then they ‘should be conducted in French islands closer to France, such as Corsica, Guadeloupe or Martinique’. The boycott of French products produced one of the many Whitlam anecdotes—as always with Gough at centre stage, delivering imperious lines with sonorous irony. This is from journalist Geoffrey Barker, who travelled with The Age editor, Graham Perkin, to Kirribilli House for lunch with Whitlam. As the meal began, several bottles of French wine were presented to the PM. ‘Jesus, Gough’, protested Perkin, ‘you can’t drink French wine’. ‘Never fear, comrade’, replied Gough, ‘as it passes my lips it becomes Australian’. In 1991, I flew into Noumea with Evans, who was making a tour of the South Pacific. Things were looking up between France and Australia. The Matignon Agreements  were three years old and New Caledonia was calm. The tragic assassination of Jean-Marie Tjibaou two years earlier had shocked all sides and the talk was of a peace process moving steadily away from the cycle of conflict. Evans spoke of a new era in relations, making a point of visiting Tjibaou’s grave. New Caledonia’s governor marked the visit by announcing that the tariff on Australian cheeses would be scrapped. The French accepting Oz cheese: talk about normalisation! The cream of Noumean society gathered for dinner in the grand ballroom of the governor’s mansion. Among the 400 guests there were plenty of Kanaks, but the majority were Caledoche or those on postings from metropolitan France. It wasn’t exactly a friendly audience. Everyone had eaten and supped well (plenty of French cheese to finish) when Evans rose to speak. He launched into a story of first seeing Paris as a backpacking student in the 1960s. Then he attempted the joke. He’d asked a Parisian the way to the station: la gare. The icy response was that the war was in Vietnam. Driving home his jest, Gareth explained that in his Franglais, he’d said la guerre, not la gare. Granted this is not in the same league as Bob Hawke telling a room of Japanese executives that Australia would not play ‘funny buggers’ with them over trade issues, which was translated into Japanese as Australia not threatening to be ‘laughing homosexuals’. Even so, after several glasses of wine, the Gareth mocking his own language skills deserved a polite titter. In that room of 400, there wasn’t a sound. Cold, hard silence. How dare this foreign minister from a country that had only just produced acceptable cheese make light of the glorious French language. The stillness in the room lasted until the small band of Australians escaped into the night. Not often did Gareth’s department (or journalists) feel much sympathy for the driven and demanding foreign minister; the sigh, ‘Earth to Gareth’ was often heard around DFAT. Yet that moment of pain in Noumea lingered in the mind. Thus it was that when France restarted nuclear tests, DFAT had an inspired idea—or hallucination—about Australia ramming home its anger. Graeme Dobell is the ASPI journalism fellow. Image courtesy of NASA via Wikipedia.